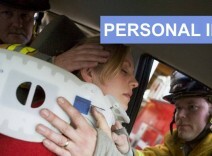 You should not have to pay the price when you are injured due to someone else’s recklessness. Depending on the facts of your case, you may be entitled to recover damages including coverage for medical expenses, lost income, pain and suffering, and other amounts. Our experienced personal injury attorneys will thoroughly evaluate your case, and advise you as to what your legal options in seeking such a recovery may be.